The Circle C Ranch, near Austin, TX, is a planned community of approximately 12,000 people, and one of the most environmentally sensitive communities in the United States, according to Laurie Swan, Vice President of Stratus Properties, developers of the community. A prized community to live in, Circle C previously lacked one important element: there were few places to shop- even for a cup of coffee. Stratus corrected this by developing a village style retail center that also housed the town’s first Starbucks. The company also believed this was an opportune time to test the effectiveness of a Green roof and push the environmental envelope all at the same time. Swan turned to the nearby Lady Bird Johnson Wildflower Center for help with the project. “They brought in an environmental designer who suggested we install a modular Green roof system developed by GreenGrid, a business of Weston Solutions,” says Swan. 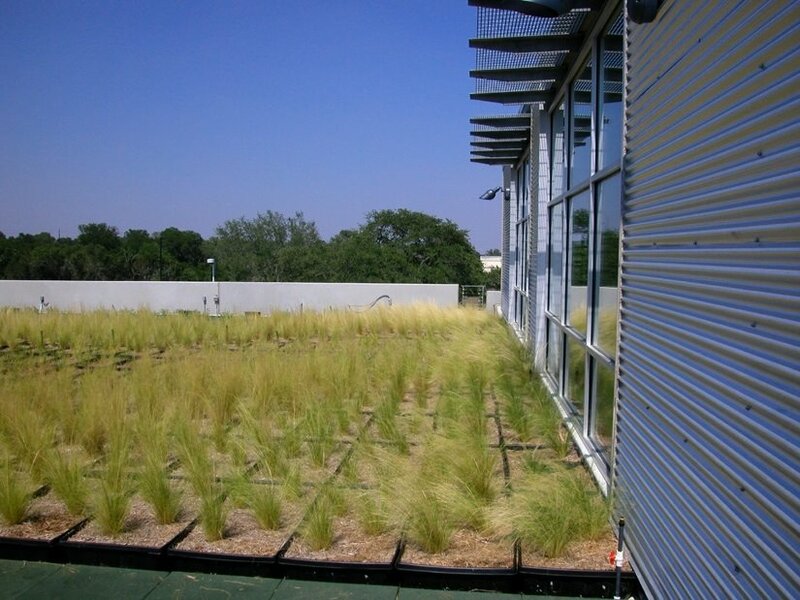 With this system, modules filled with soil and plant media are pre-assembled at a nursery and then laid out on top of the existing roof. “The whole process took just a couple of days,” says Swan. Stratus Properties wanted to do something special with this retail center because it is located in such an environmentally sensitive area. And installing a Green roof helps make it Greener from the top down.